We've grown flowers here for as long as we can remember. Our mom's flower beds have been growing and changing and moving our whole lives, with plants shared among neighbors and friends, plunked in the earth and adorning our yards with color and texture. From her cottage-style flower beds grew a passion for growing flowers and a deep peace and satisfaction from the practice. Particularly on the part of Emma, who has been dedicated to cultivating and expanding the collections and beds over the last six years. 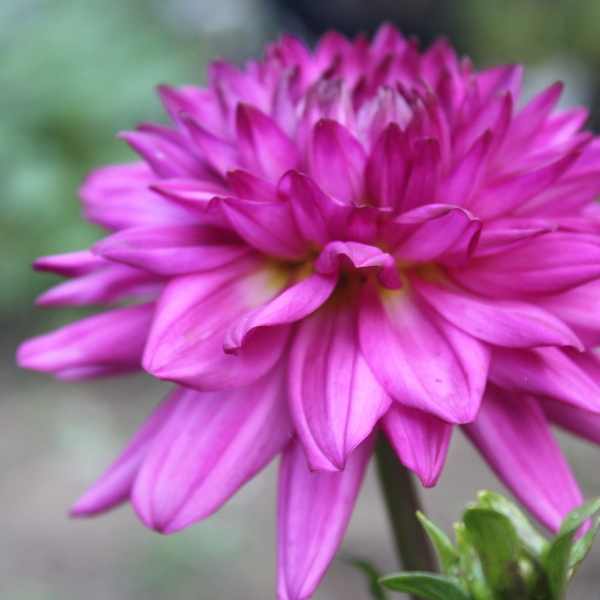 Her interest is in growing healthy, gorgeous flowers that bring happiness to someone's day. 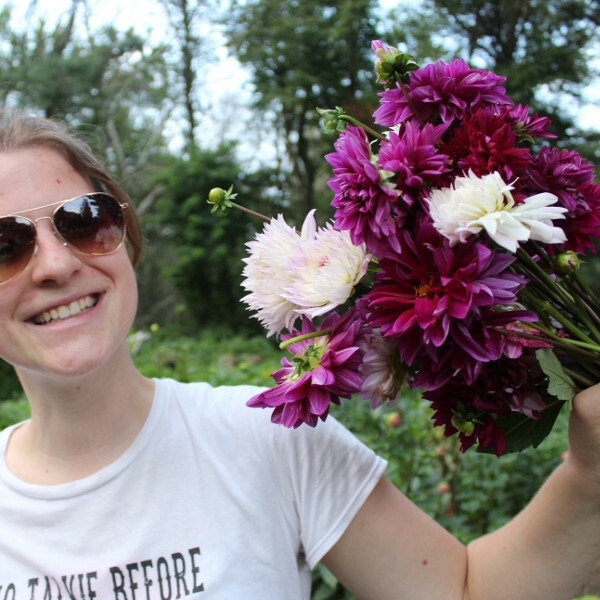 When Emma has laid the groundwork by growing the blooms, Casey helps to transform the single stems into elegant bouquets and floral arrangements, utilizing her natural talent for design and skills she has developed through working for professional florists. 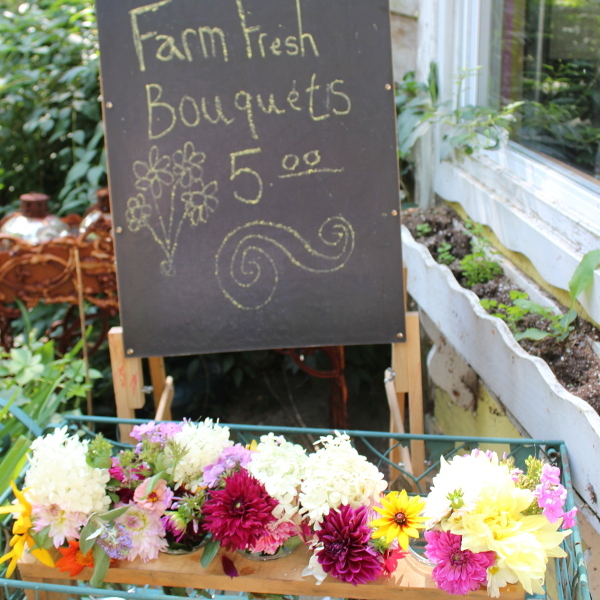 We offer bouquets throughout the growing season (from about late June until the first frost in early October) at our flower stand at the farm. You can also find them at the Capitol Hill Farmers Market on Thursday from 11-2. We sell pre-made bouquets, but if you see something you'd like, you can always ask us about a custom bouquet! Perfect for the bride with a flexible vision and a spirited creativity, We offer DIY buckets of lovingly grown, farm-cut flowers for your creative arrangement. Do It Yourself flowers come in a 2-gallon bucket and include a mix of focal flowers, filler flowers and greenery. Flowers are harvested at their peak and selected based on what the field has to offer the week of your event. 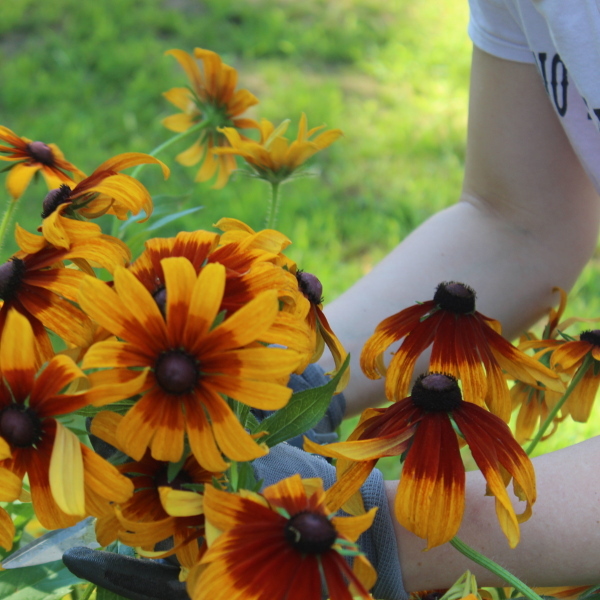 We offer DIY flower buckets from Late June - Early October. Price for the bucket is $130.00/bucket plus tax. Three week notice is needed to reserve buckets. To reserve more than two buckets, we require a $100.00 non-refundable deposit! 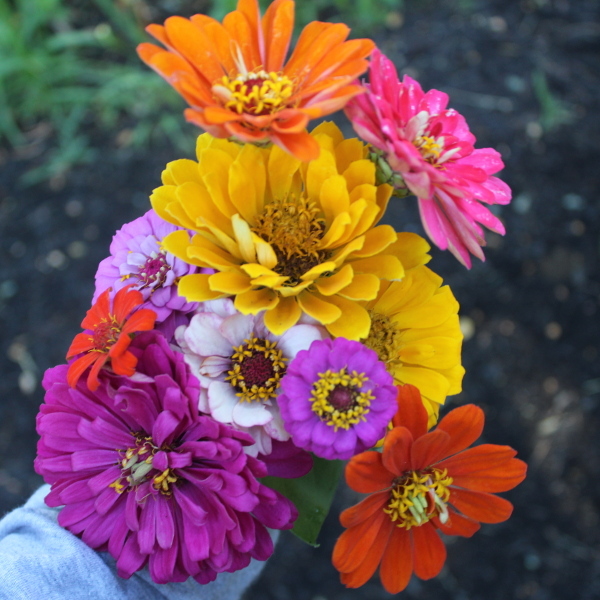 We offer a flower bouquet subscription through our community supported agriculture program. 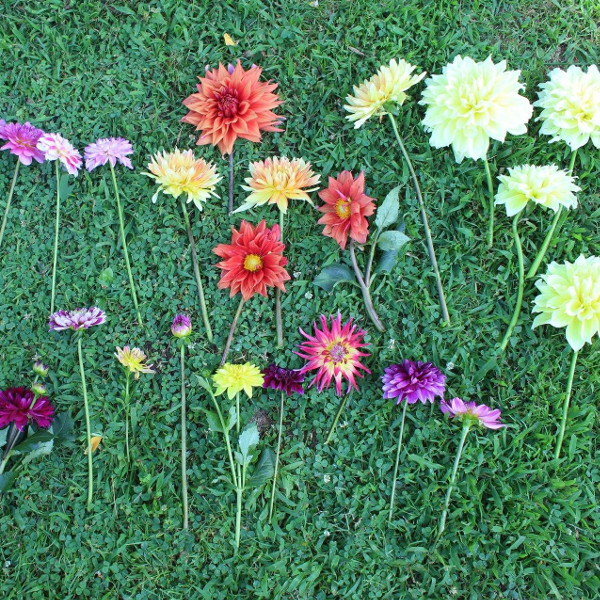 The shares cost $135.00 and give you nine weeks of fresh bouquets spread throughout the season (bi-weekly with some variation at the beginning and end of season to account for frost forecasts). To learn more about CSA click here. © 2019 Mapleville Farm, LLC. All rights reserved.